The instructions below will walk you through the procedure of connecting to the MEDI secure FTP site to access your scanned images and files. Should you have any questions, please reach out to us using the contact details provided. 1. Use a recommended SFTP client such as Filezilla or WinSCP. 2. Use home363671286.1and1-data.host as hostname, and port number 22. 3. Use your username in the format u########-xxxxxxxx and the password that we have given you. 4. 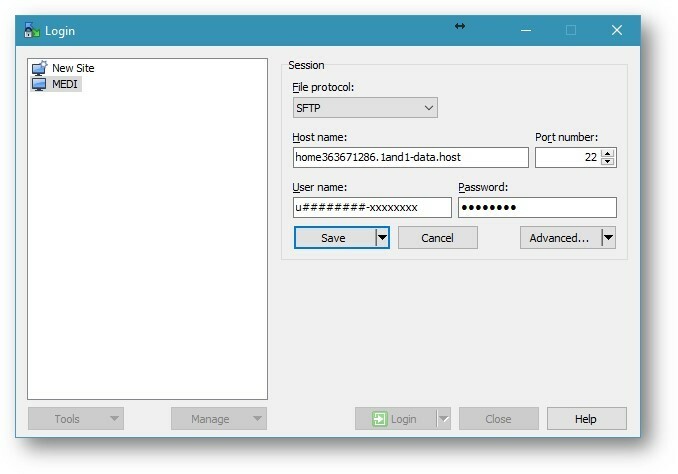 Click Quickconnect (Filezilla) or Save then Login (WinSCP) to start the session and browse folders and files.